I don't know if other women are like this, but whenever I'm perusing the makeup aisle in a store, my eye inevitable goes to anything shimmery. I mean anything. Now despite my age and despite the fact that I make it a goal to look more put together, I still like glitter and glitz. Always have, probably always will. This isn't to say shimmery can't be "grown up" or understated...it's just I have a flare for the over-dramatic...or something. 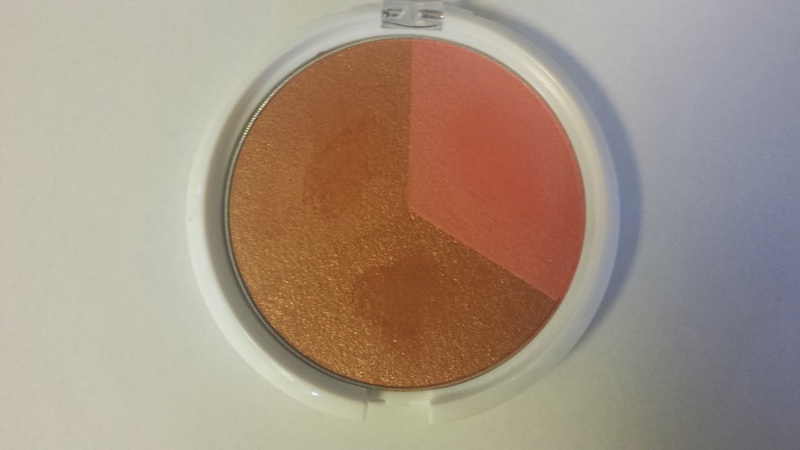 Anyways, the point is that when I passed this palette I immediately made a beeline for it. The first thing I noticed was there were 3 different palettes (Fair Trade Coffee, Sunset Junction and Solar Powered) and all of them had beautiful shimmery golden shades in them. 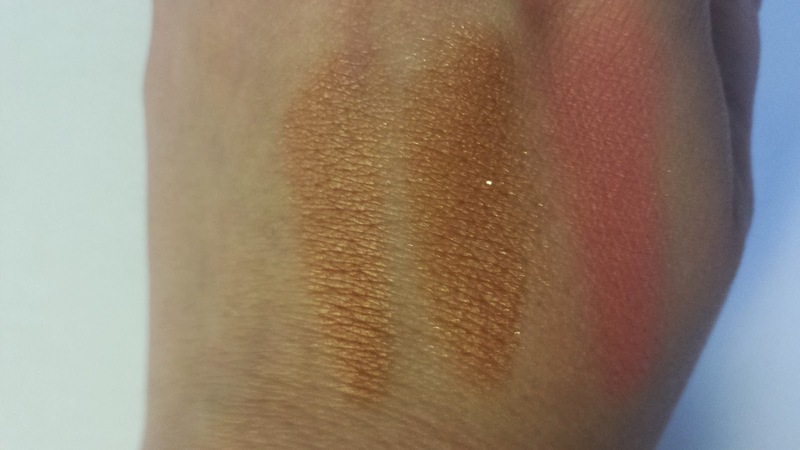 The reason I actually reached for this palette is that it had two beautiful shimmery golden shades in it. And if there is one look I am always trying to reach for it's "golden goddess" status. Doesn't really happen, but there's always that image in my head when I reach for a gold palette. I digress...the palette I ended up with is the Solar Powered palette which includes a beautiful gold shade, a rose gold-ish color and a very pretty neutral pink shade. All are shimmery, so if you prefer matte looks, this palette probably won't interest you. I'm using this palette currently as a shimmery flush for my cheeks and an all over bronzy glowy look for my face. Seriously, these pictures don't even do this product justice, it is SO beautiful. 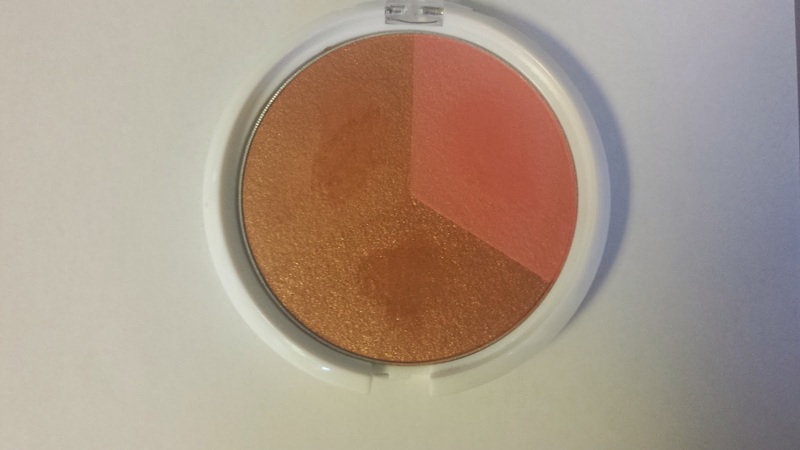 What colors have you been loving for cheeks this week? 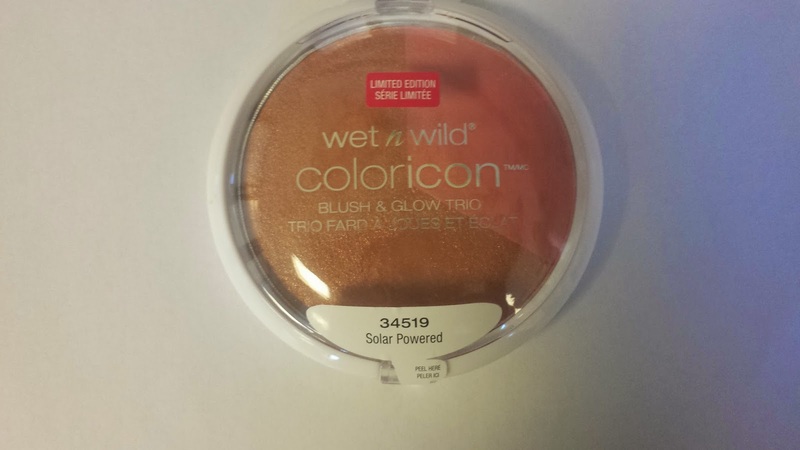 I love the great cost of wet n wild products and I love it when you do product reviews!!! Many people spend hundreds of dollars on high end beauty product when the drugstore stuff is just as pretty like this palette, if not prettier!! :-) Have an amazing day pretty lady! !